So the Celtman proved to be a hard race. Just a but too hard. In fact hard enough to break my foot. 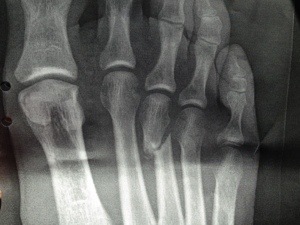 It seems that u had developed a stress fracture leading up to the race, and by pushing very hard over Collin Pam’s and finally struggling to survive the Bein Eighe, the stress fracture developed into a fully developed fracture. 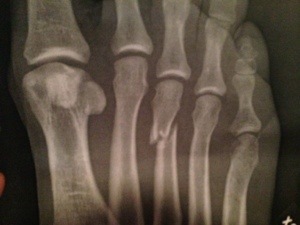 No wonder I had some pain in the foot during the final stages of the race. 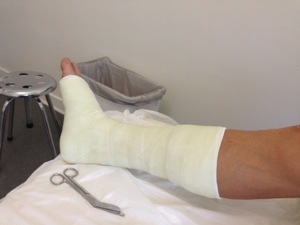 The verdict seems to be about 3-4 weeks in a cast+ 3-4 weeks recovery from running. I guess riding the bike and swimming will be ok. Nevertheless, the main part of the season seems to be over, I must forget about Norseman. 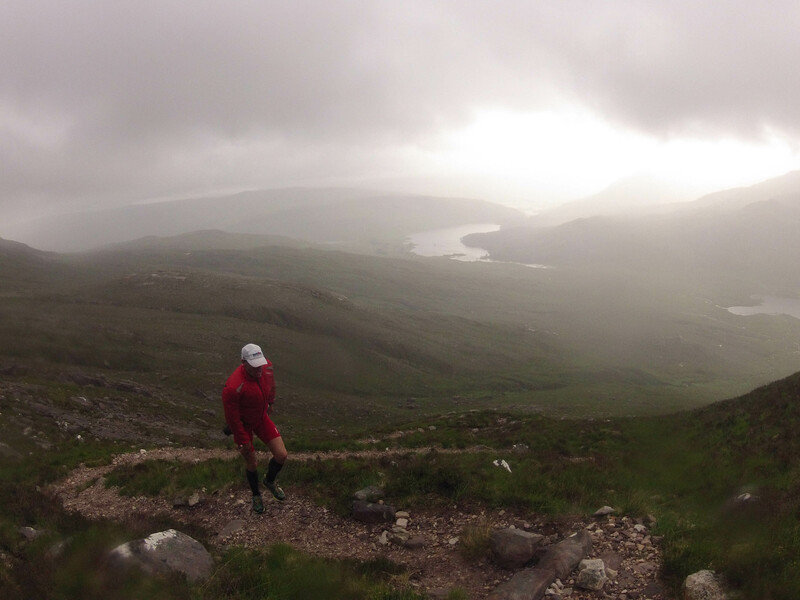 Possibly I can do some trail races, half or full marathons later in the autumn. I would like to do a 75-100 k ultra in the end of the year though, in order to complete the final qualifications for ultra trail Mont Blanc 2014. 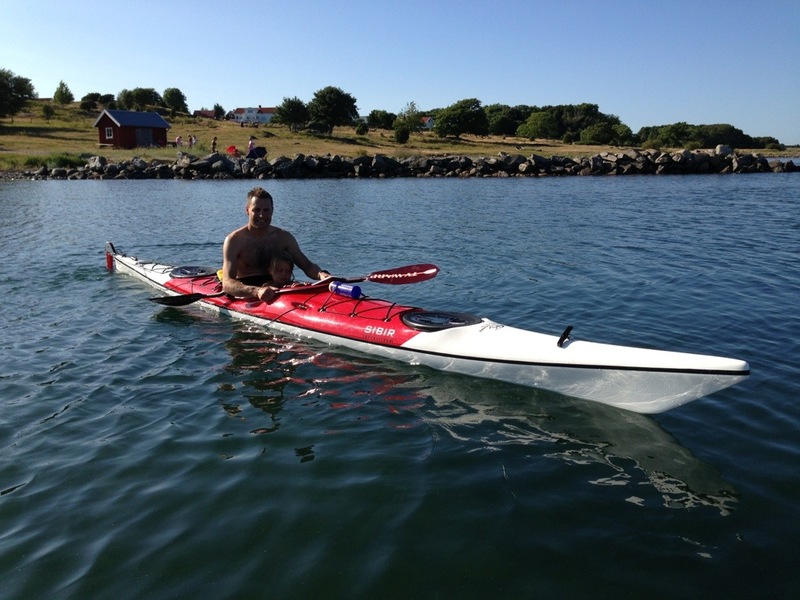 But for now, only alternative training such as kayaking…. This entry was posted in Uncategorized on 2013/07/22 by tridurance. 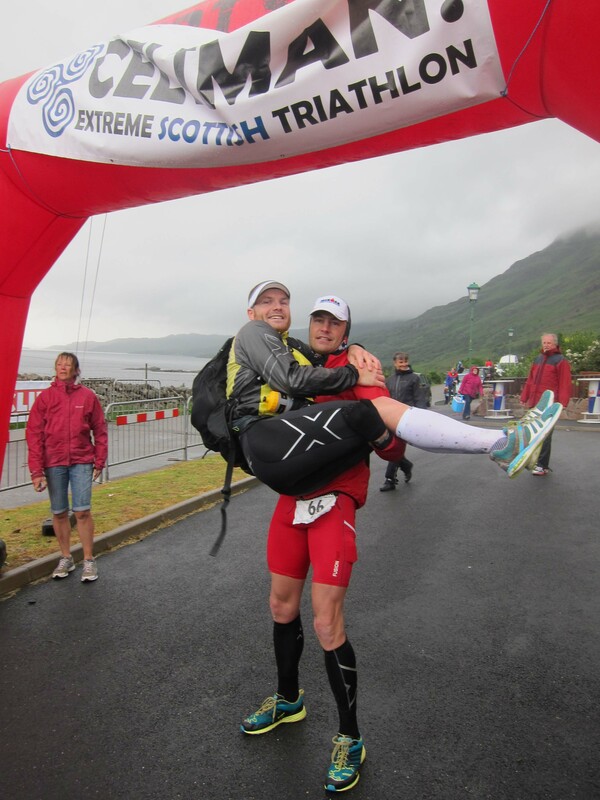 4th place in Celtman Extreme Triathlon – the complete saga. 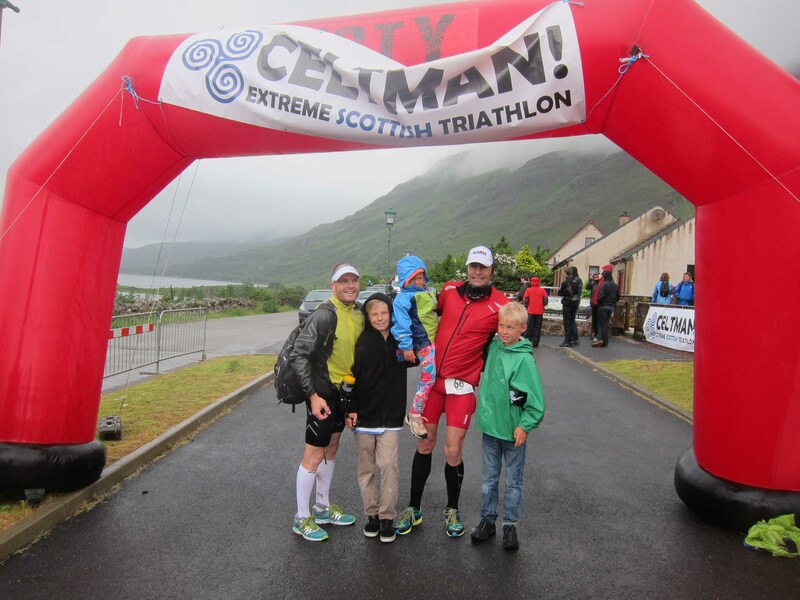 So finally, more than a week late, here is what you’ve all been waiting for – the Celtman Extreme Triathlon race (http://www.cxtri.com)report 2013. 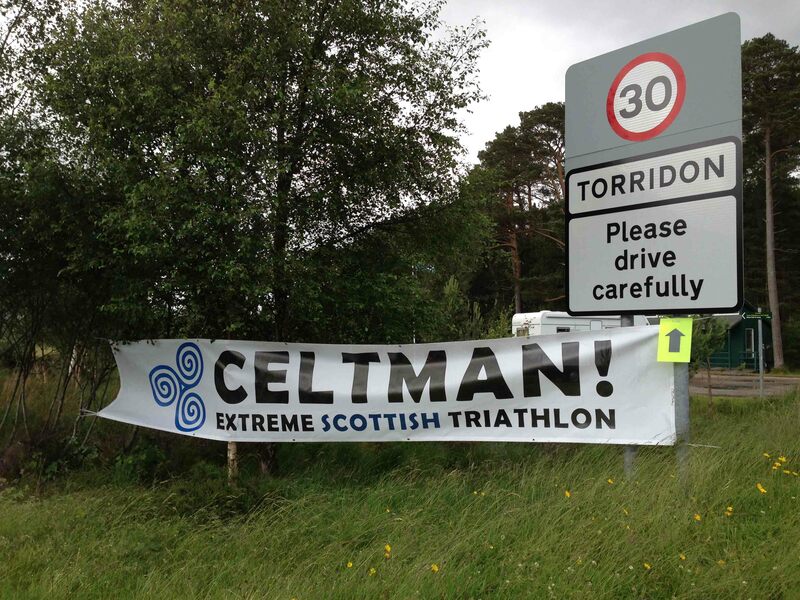 For those not familiar with the Celtman, it is on of the three Extreme Triathlons along with Norseman and Swissman in their respective countries. Norseman is (together with Ö till Ö) etc one of the worlds hardest one day competitions (http://edition.cnn.com/2012/11/28/sport/toughest-endurance-challenges). 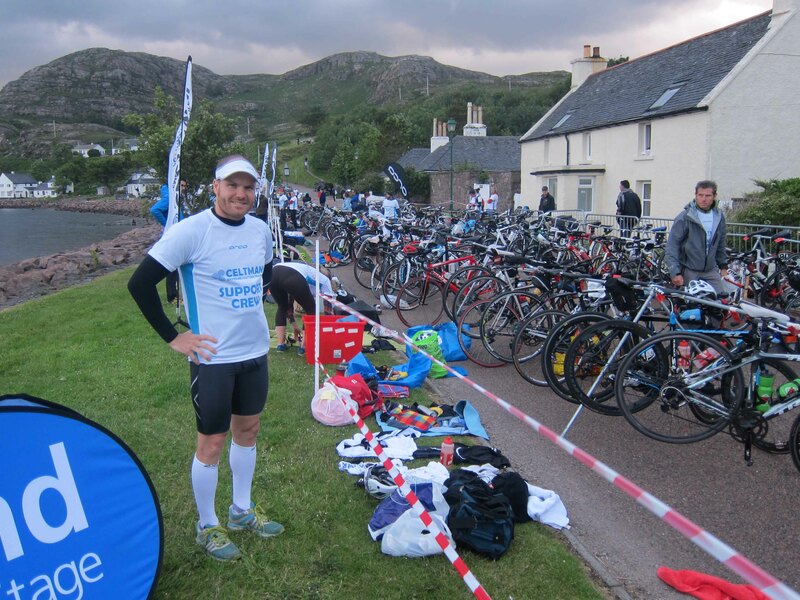 It’s somewhat longer than your regular Ironman, 3.9 km Swim, 202 km bike and a Marathon run. 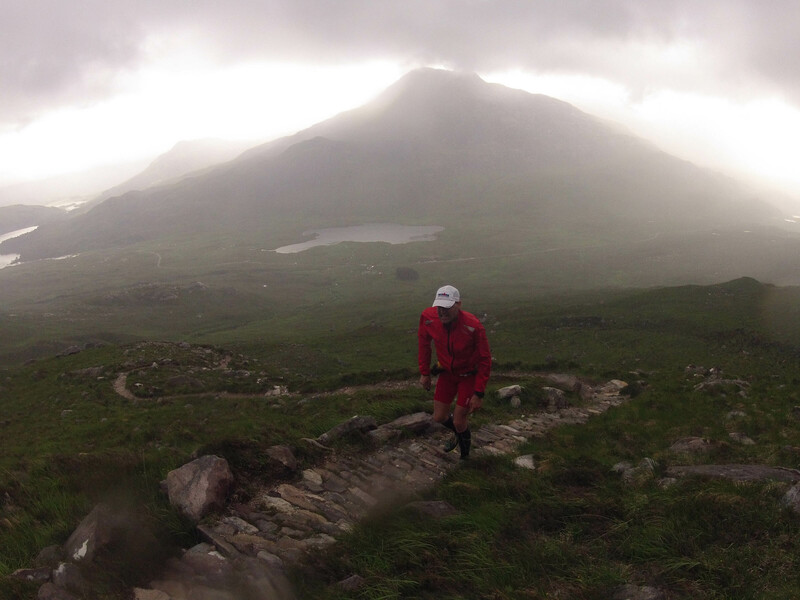 There is just two things to it: 1) it is in Scotland 2) the route is laid out not only very scenic but also very hard course. 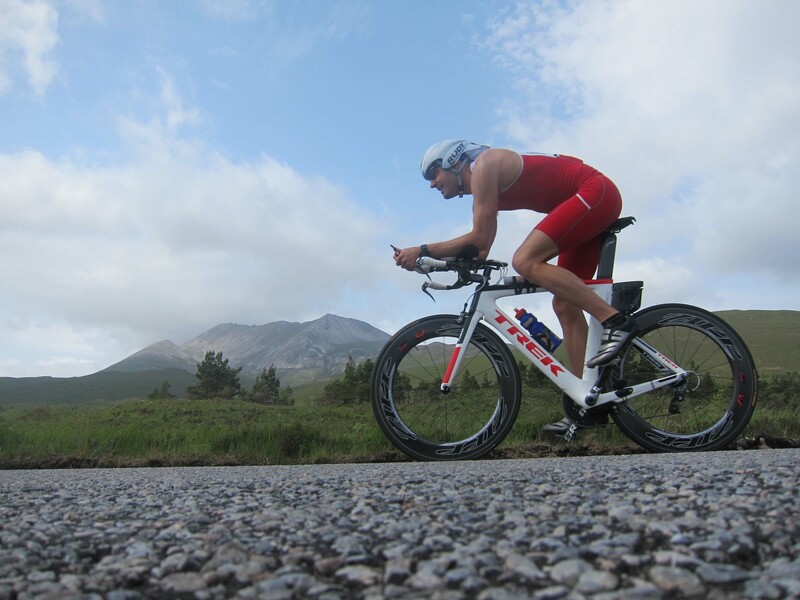 Hence the weather is very unpredictable and often very harsh, temperature in the water can be 10-15 degrees Celcius, the bike includes more than 2000 height meters, and the run goes over two munroes (mountains over 1000 meters). Welcome to Celtman. If you believe that 56 min is slow for a 3 k swim, please do it yourself in 12 degrees water temp, very very choppy waves, no guiding feet, kayak or buoys. (I’ve done a full 3.9 ironman swim in the same time before). If you believe that averaging 31.5 km/hour in an ironman bike leg, why dont you do it yourself in 2000+ height meters and with headwind up to 15 m/s. (I’ve averaged 39 km/h in HIM/Ironman bike sections). OK – so with the scene set, lets begin. 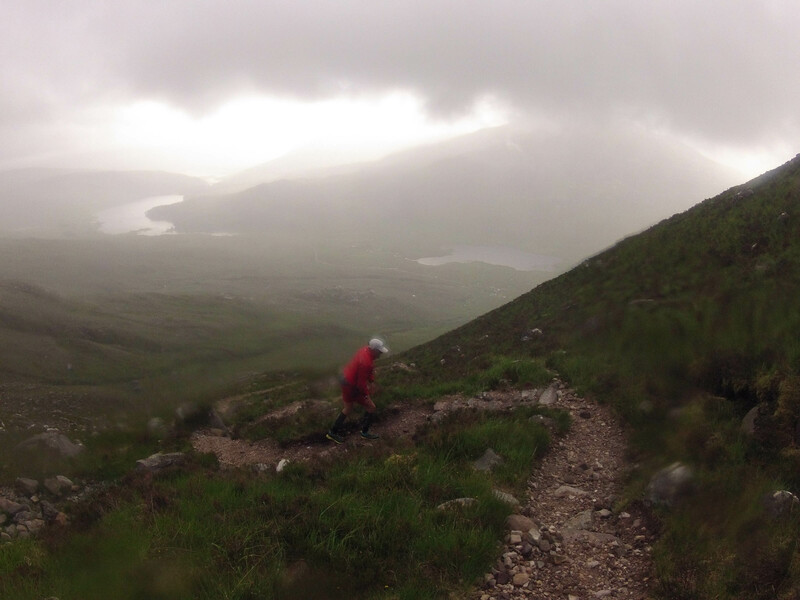 There are some fantastic films from the biking but also some films from the run, even when Oscar almost falls off the mountain! The plan started last fall after completing the Ironman Hawaii World Championships. After that, i wanted to start looking for races with more focus on the experience than the competition itself. 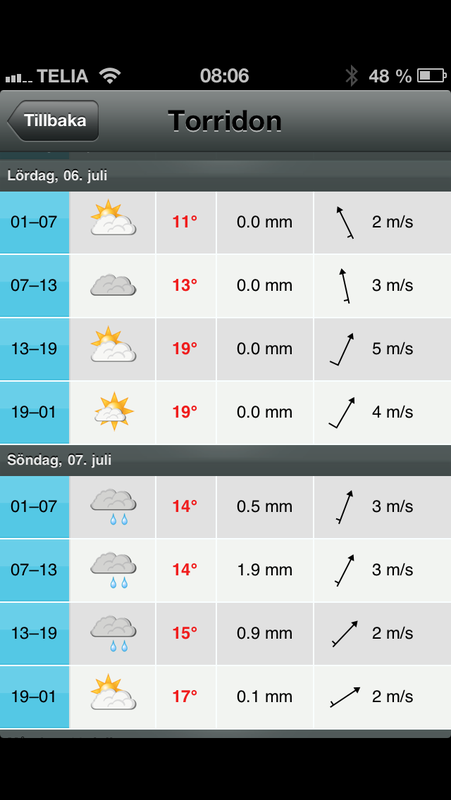 Surely, I could perform better in Kalmar Ironman both in terms of positions and time. Surely I could qualify for Hawaii again, and I could definitely achieve better in Kona. I actually wanted to do something different. 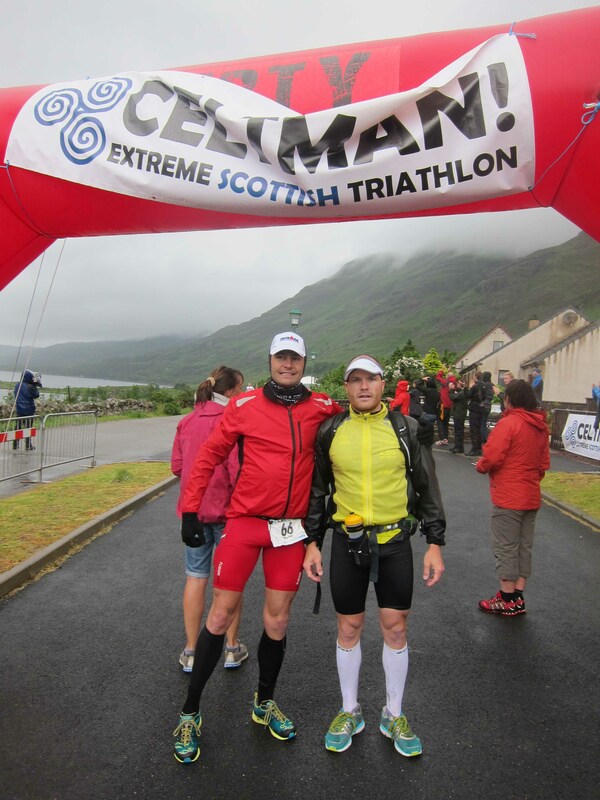 So I applied for both the Norseman and Celtman, aiming to do them both in 2013. The race ambition is still there, with an ambition to score top-5 in both of these. Hard, especially in Norseman, but not completely unrealistic? The season have been quite OK this far, but just a bit irregular. I did some Ultra runs during the spring and scored second place in two (***, ***) of them, and at least completed the Ultra Trail Barcelona.. Then I did a quite solid performance in the big biking competition Vätternrundan. I had, however, some problems leading up to the Celtman, after Göteborgsvarvet I got some Plantar Faschiitis, but this was relieved with using Arc Flex System insoles. And after all, Plantar Fashiitis hurts not so much on the run, its more the morning after…. I had some issues with getting my bike rig together, but this was eventually sorted out with a great Trek from Cykelmagneten. 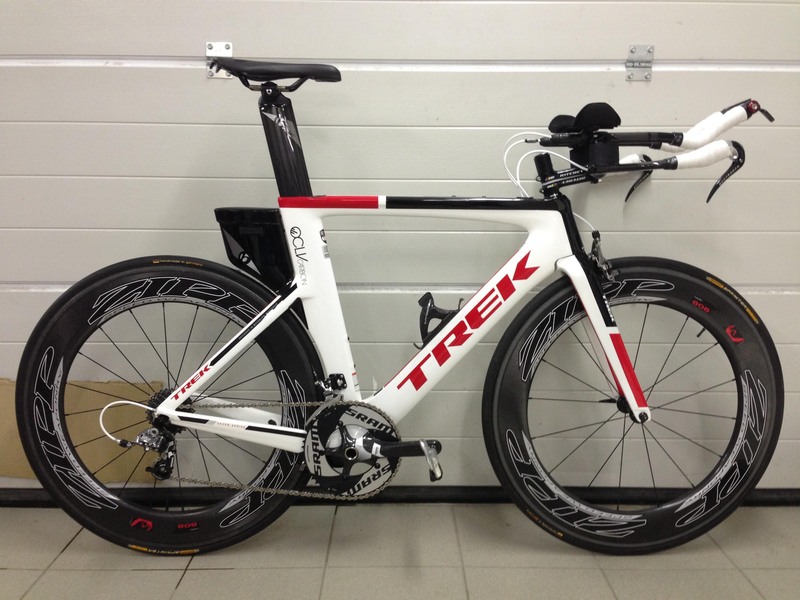 I have ridden Trek before, so I was quite confident that it wouldn’t be such a big problem. In fact. I am not too picky about riding position, and despite I had used the bike only 3-4 times before the race, I wasn’t really worried. But 4 days before the race I ran 5 k on the treadmill Nothing more. After this very short tapering run I felt quite bad in my foot, felt like something was broken. It cant be possible, 5k is nothing. The final days before the race, this was hence worrying me a lot. It was hurting whenever I walked. I arrived with my family in Torridon late on Thursday evening. Late like 3 am on the morning to Friday. There was so many deer by the road in the middle of the night that it was more luck than anything else that we didn’t get venison steak the following morning. 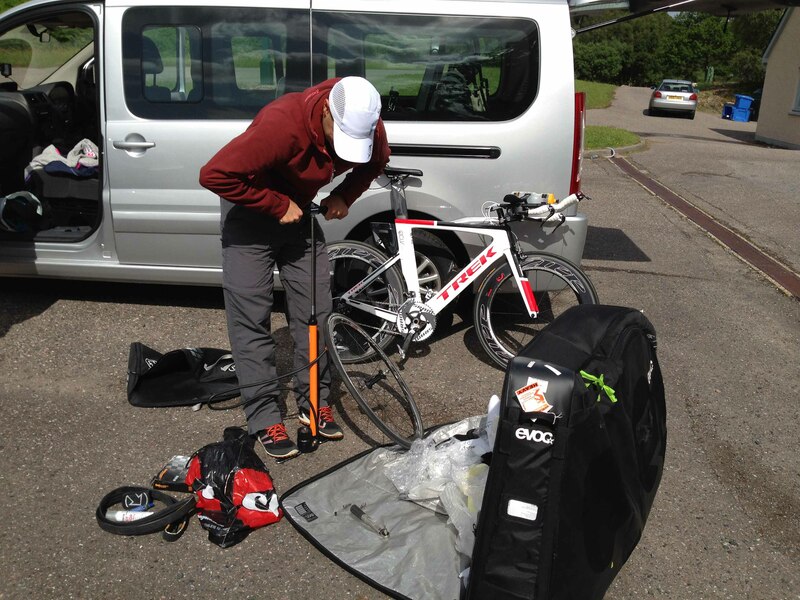 Friday morning was spent with getting the kit ready, testing it and biking for a short 40 k test ride, when going over to Torridon for a pre race meeting, as we were staying some distance away along the bike course, in Loch Maree. I felt quite confident, and the only worry was still the foot. Fortunately, the run is in the end of a triathlon. 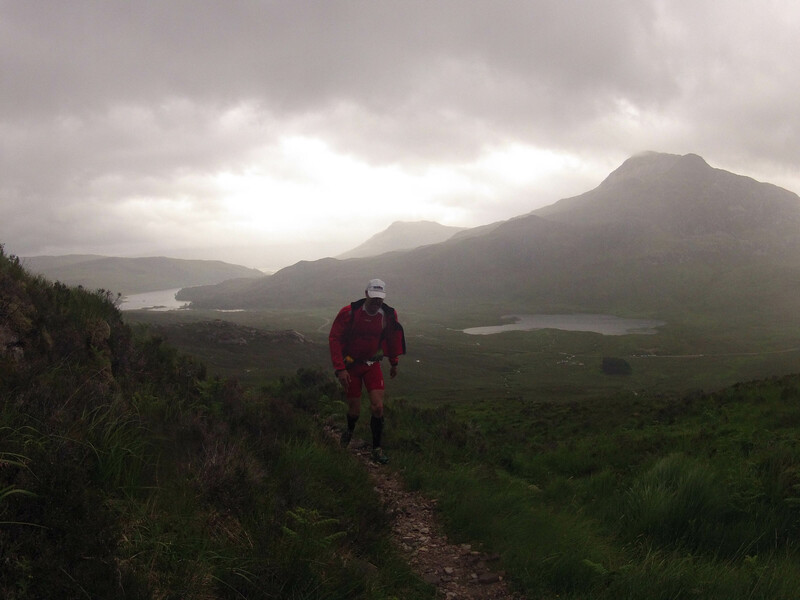 Later that evening, my friend and support runner, Oscar Olsson, came to Loch Maree. 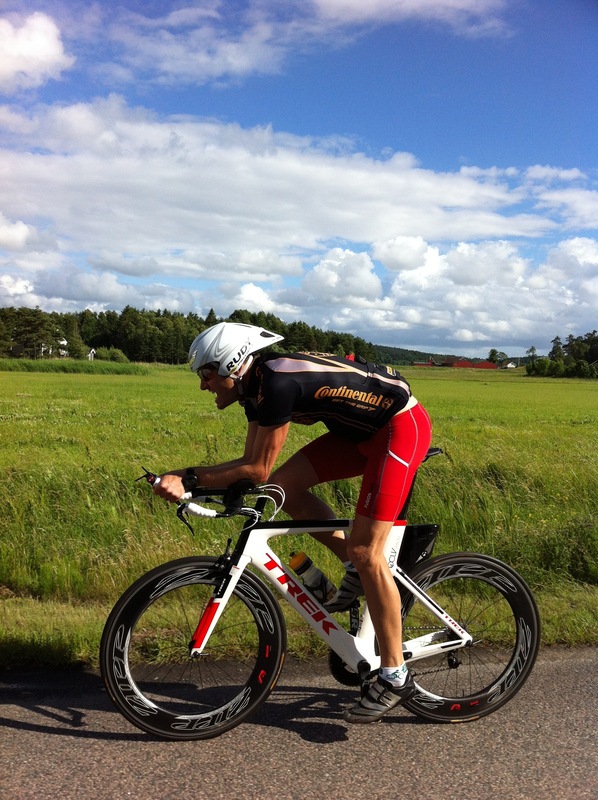 Oscar is one of Swedens top triathletes, and certainly a very promising one. Before forgetting about it I need to thank Oscar for supporting me during the race. 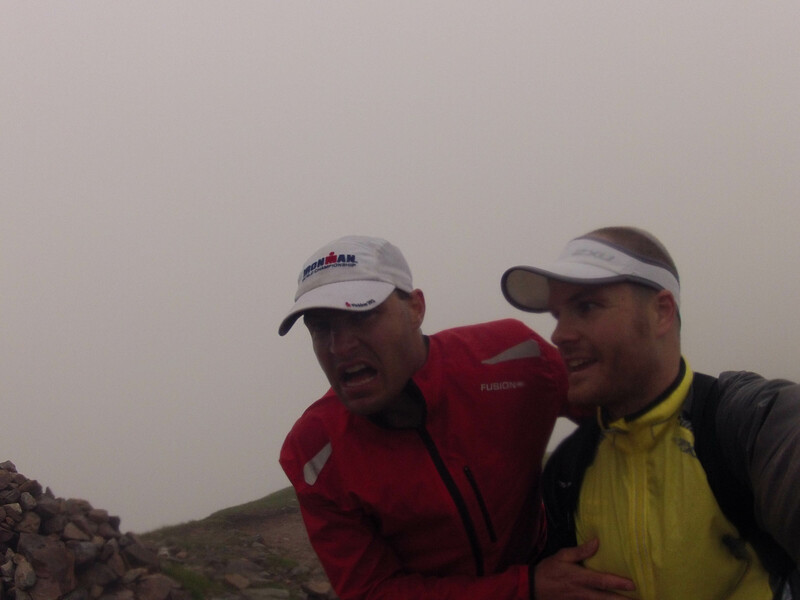 A more enthusiastic and coaching support couldnt be found on the planet. In fact, I believe Oscar enjoyed the race more than I did – it certainly felt like that!! So in all, I had my whole family and Oscar supporting me – perfect. In addition to this, one of my best friends was also participating in the race, so the set up couldnt have been better. Race morning came. I had some good solid breakfast, as we woke up 2 am and the race would start at 5 am. But transfer and preparation dictated the early wake up. I had boiled eggs, cereals and other stuff. Oscar drove me to Sheildag where we were to arrange the T1 transition. We came there at about 3 am. It was a warm night, but very windy. Out of the 250 contestants, 3-4 had disc wheels, and I actually thought it was insane. I now know that one of these disc wheels’ riders performed very well, but nevertheless is must have been hard to keep the bike upright later during the bike. 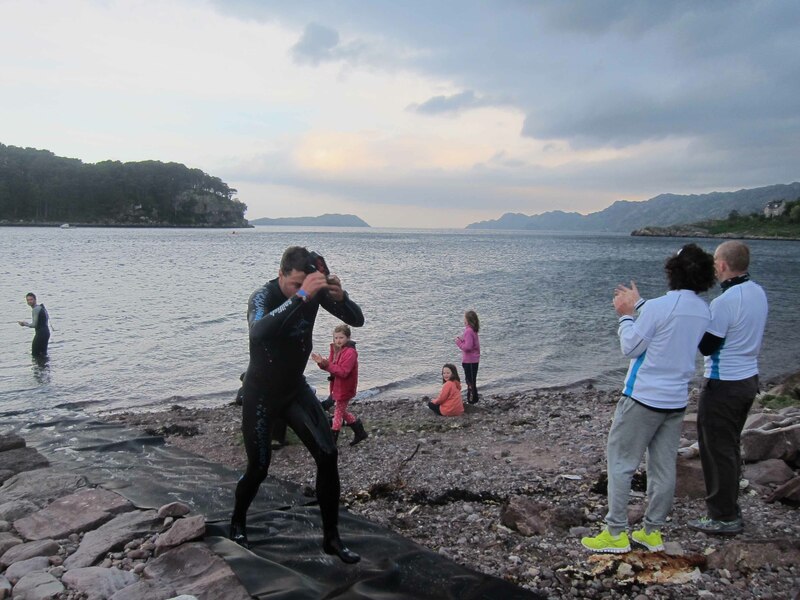 At 4 am, a bus took us around the bay to a remote beach where the start of the swim was at 5 am. It was a tense feeling and I think most of us were worried about the water temperature, which was said to be 11-12 degrees. That is chilly. The start was however quite magical with fires and bagpipes playing. Suddenly it was 5 am and we were asked to go into the water. I wished my good friend all the best. I have been swimming quite consistently during the spring, so I put myself together with 5-10 other in the front of the pack. There wasnt really a crowd like Ironman Hawaii…. Cold water and when it hit your face you got a bit of a shock. However very salt and clear water. After some confusion, the race finally started. Naturally, I stared hard as all triathletes do. Why change a winning concept? But the cold water made me gasping for air after 2-400 meters, and I had to slow down an start breathing in every other stroke. Ive had the sensation before in really cold water. After yet some hundred meters I felt better again, but the front swimmers were now about 100 meters ahead. I passed the swimmer in front of me and maybe maybe I could bridge the gap? Soon I had left my companion far behind, and I believe I made up some distance on the 3-5 swimmers before me. Soon, however, the waver build up to very steep waves and my swimming became less efficient and rhytmic. I could still see the leading kayak, but the feeling wasnt perfect. But I struggled on, the swimming was very exposed. 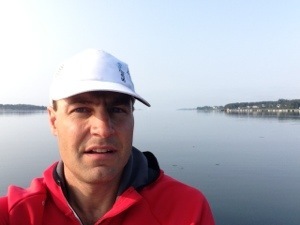 Even though the course was from a beach, passing 2 islands and finally into Shieldag, it was completely open water all the time. Initially it wasnt difficult to see where to swim, but on the last section into Shieldag I actually mistook the landing spot and navigated some hundred meters wrong. 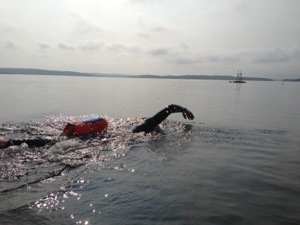 I hadnt been able to bridge the gap to the leaders, but I had lefty all other swimmers far behind me. My feet started to feel numb of the cold, but my central system was warm, so the swim wasnt too bad after all regarding the temperature. But the waves had made it quite hard. 56 minutres for the shortened (3 k) swim is slow. When looking at the video (see below) my strokes are so very short – completly inefficient – doe to poor technique combined with the choppy waves. 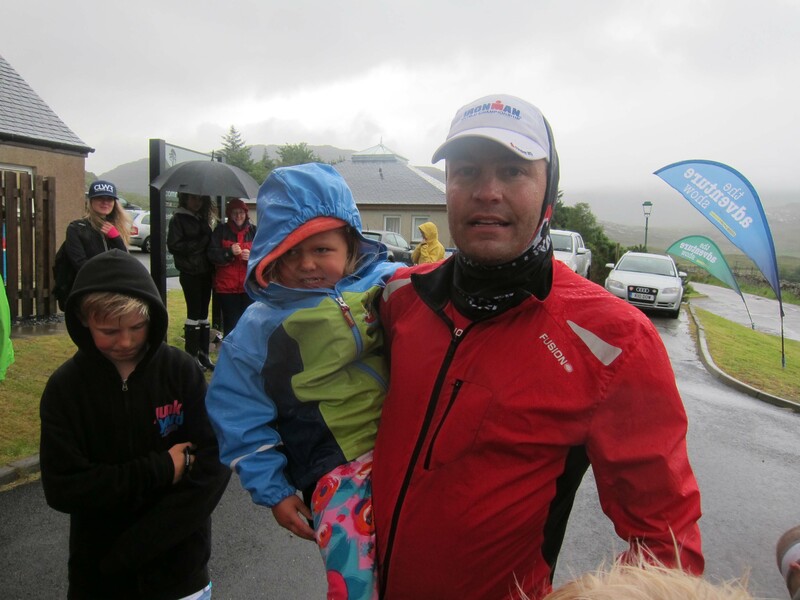 Hence I was surprised when I was welcomed on shore by all my supporters and they shouted “DAD YOU ARE FIFTH – ITS FANTASTIC”. I get goose bumps even now – having your dearest when you are in such an emotional state is a great experience. 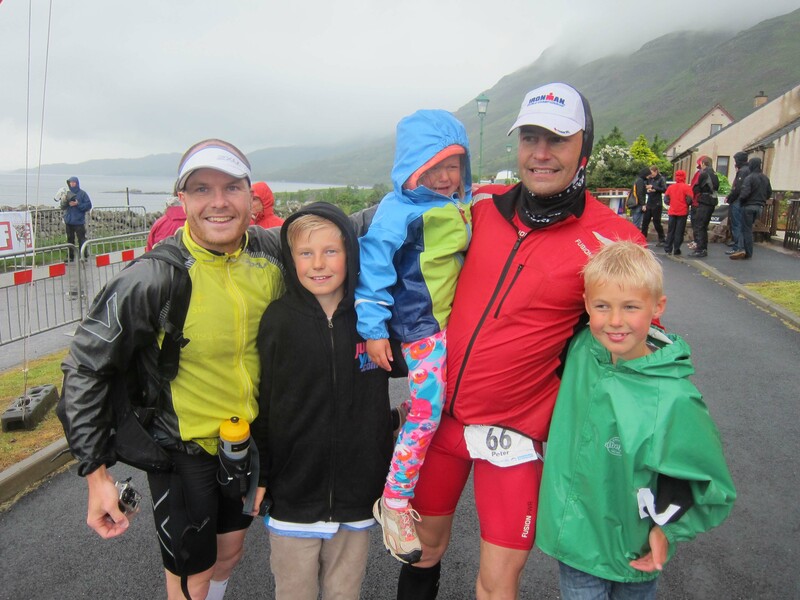 In fact – I have to brace myself when I am in the middle of a race and my sons and daughter cheer me on. I cant let the emotions take over at that point, but just remain my focus….. I think I did a fast transition, I didnt really need to heat up, just to change some clothes. Oscar helped me. But my thoughts go to those who had a 2 hour struggle in the water – the chill of that time in the water must be massive…. So as soon as I had arrived i Shieldag, I left on the steep uphill. 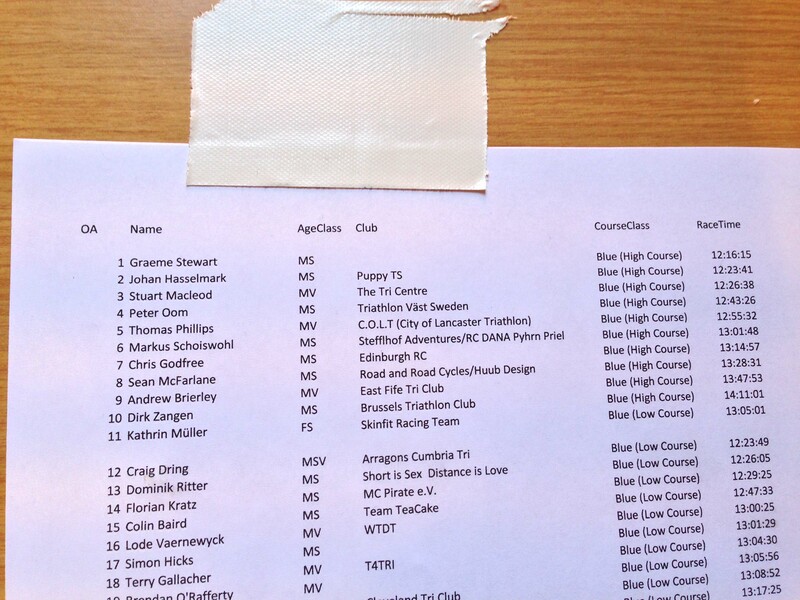 Quite soon I was overtaken by Graeme Stewart and another guy, but then I overtook one slower rider. Soon enough, Oscar was behind me in the support vehicle. He would stay there for the whole 202 k bike ride! So the very long ride had begun. I had to take the bike start easy not to get any cramp in my left thigh which I sometimes get when hitting it too hard. 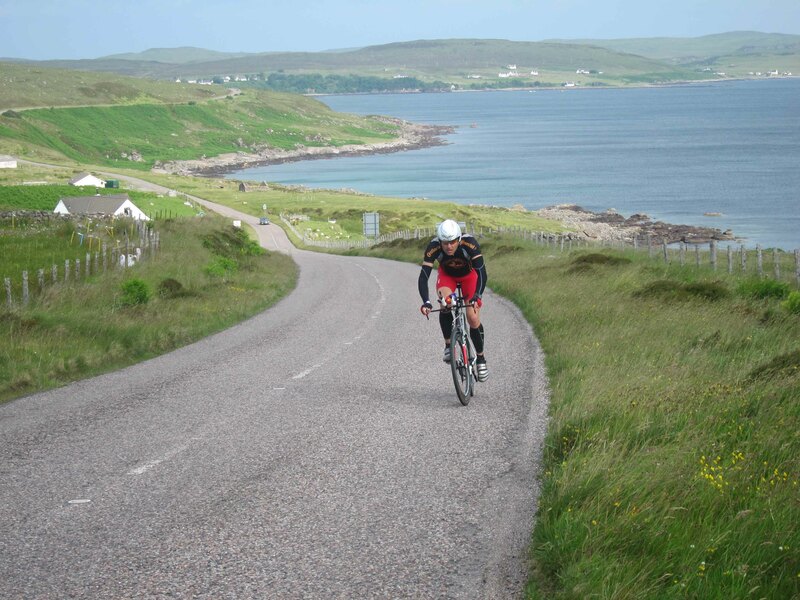 The part from Shieldag to Torridon is very hilly, and on some of the downhill slopes, I felt that it would require some good biking skills in order not to blow of the road due to steep downhill combined with very very strong crosswinds. The crosswinds of Hawaii are infamous, but just a light breeze in comparison. The Torridon to Kinlochewe part is very nice single track road. With a tailwind we were flying up, despite the incline. Fantastic feeling. To the left we had the munroes that we were to climb later that day. Much later. 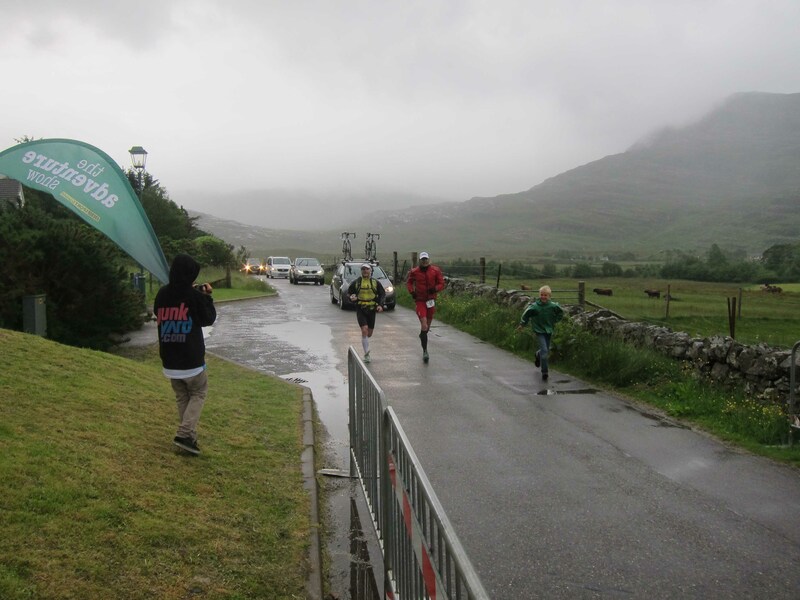 On the section leading up to Loch Maree I passed Kathrin Muller, a super swimmer who would eventually be first woman over the finish line. The bike course goes over a fantastic route. The weather was good, not too hot, but during the first 150 k sun but very windy. Long uphill stretches, and when the uphill was combined with a headwind i had to use the lowest gear. IN fact, I have never ever used the small crank ring as much before – combined. The downhill sections could either be a struggle – working hard DOWNHILL in order to fight the wind and speed 30 km/h. Or it could be totally lethal, speeding 70 km/h free wheeling and holding the bike for your life. At one point, I wasnt prepared riding in the aero position, but went over a quite flat section very fast, when all of the sudden a crosswind came from the side quite hard. It was so difficult to keep the bike upright that I couldnt CHANGE from the aero position to the upright position for better stability. But I managed not to fall. During a large part of the bike course (30-100 km) I was riding quite close to two other riders. I had to give them some distance, and I believe they were at most about 500 meters in front of me. But they felt stronger. By the way, the Celtman is non-drafting. But this is a non-issue, as the race is so completely divided. If the race had folded out differently it is quite likely that I hadnt seen ANYBODY from the swim start until finish line. At 100 km into the bike, i felt stronger. I gained on the two riders especially in the uphill. I got information all the time from Oscar, who was so fantastic with his support, saying that the three of us were 2-3 and 4th position. I couldnt really believe him. Eventually I realized that I had taken a couple of positions in T1, hence these positions. Anyway, I am a slow starter so my diesel engine had warmed up by now. On the peak of a hill I passed both of the riders and just left them behind. I hammered strongly on the pedals, going fast on the downhills despite the risk and very difficult to keep upright in the crosswinds. When I looked behind me after 3-4 k I saw noone. 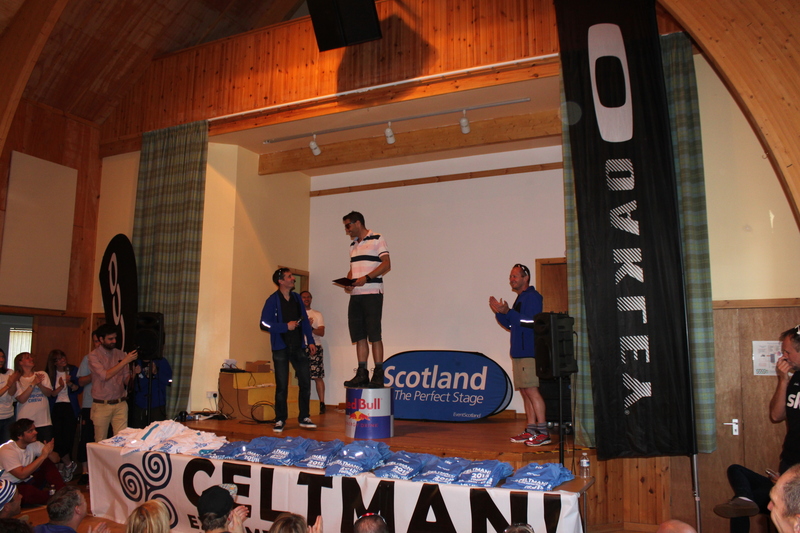 Second in Celtman and strong legs – what a great feeling! 80 km to go of the bike leg. The best part of this is that Oscar got this whole section on film! At 110 km there is a long long uphill slope, obviously followed by a very fast decent. Nothing much happened, the scenery was extraordinary, weather good, but the wind very hard. My family cheered me on at 150 km, and by 160 km I had to take a stop to pee. I had put 6-7 minutes between me and the #2 and #3 in 50 km! From this point the headwind was horrible. And it just became worse during the last 20 k approaching T2. The landscape was as always nice, but on these sections completely open and offered no shelter from the wind. Finally T2! My family and Oscar was now there. I sat down and changed shoes. 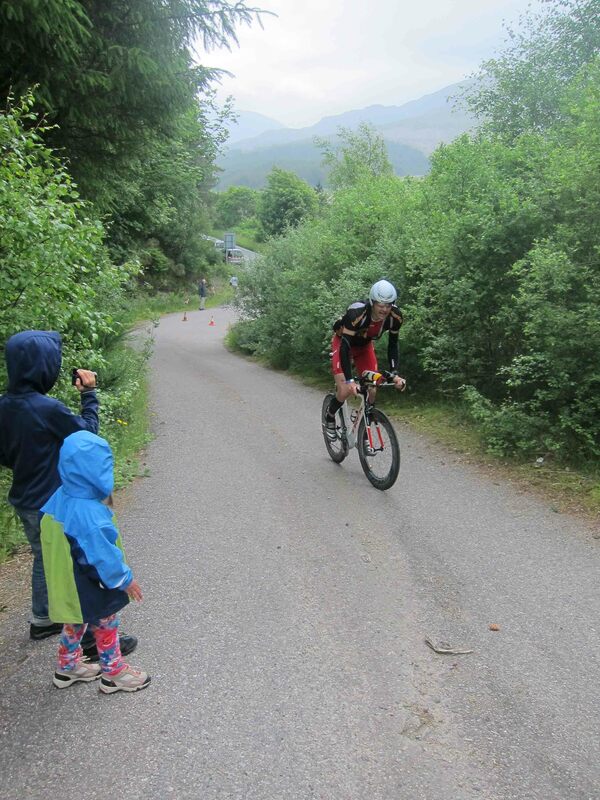 Again – emotional feelings when my daughter and sons cheered me on, knowing that I was in 2nd position. BBC was there too, interviewing both my wife and me. Naturally, I had to say something with confidence, so a assured the journalist that “I would easily run Graeme down”. I am not sure I even believed it when I said it, but what the heck. Just when I said that, I got severe cramps in my calf and thigh… Graeme had (with his disc wheel!) by now about 16-17 minutes lead on me – such a great bike ride of him! I hugged my sons and daughter and we set off, Oscar and I. Oscar had decided to run the whole marathon with me even though it was only required that he should accompany me on the last section on the run. But Oscar is a fantastic runner, and it was great having him there. I had one very light belt with the mandatory stuff for this part, which I would exchange for a heavier pack for the more exposed sections from T2A and over the high pass. The first 17 k goes over Coulin pass, a nice hilly section combined in the woods and in over some meadows. Very nice. It was warm, but there came some drops as well – perfect running weather. Oscar urged me on. There is a Red Bull prise for the fastest runner for the Coulin pass – the winner gets a full day of mountainbiking in Wales with the Athertons, world champions (http://athertonracing.co.uk/). I actually took this price, which I got to know on the ceremony the day after. But this was actually more thanks to Oscar than anything else. He pushed me on well. But the running over Coulin pass was OK, we did several kilometers faster than 4 min /km. We made up 2:30 on Graeme – great. But at the end of the Coulin pass section, after 15-17 k my foot became worse, and hurting. I knew the mountain would be hard to me. T2A came, and after a compulsory kit check, we set off again. Family was cheering. The first part is not runnable, it just goes uphill. Wind was picking up, and i t was just walking walking and walking. I was tired and had no power in my legs. Eventually we came to the saddle of the mountain, and the wind was just screaming. 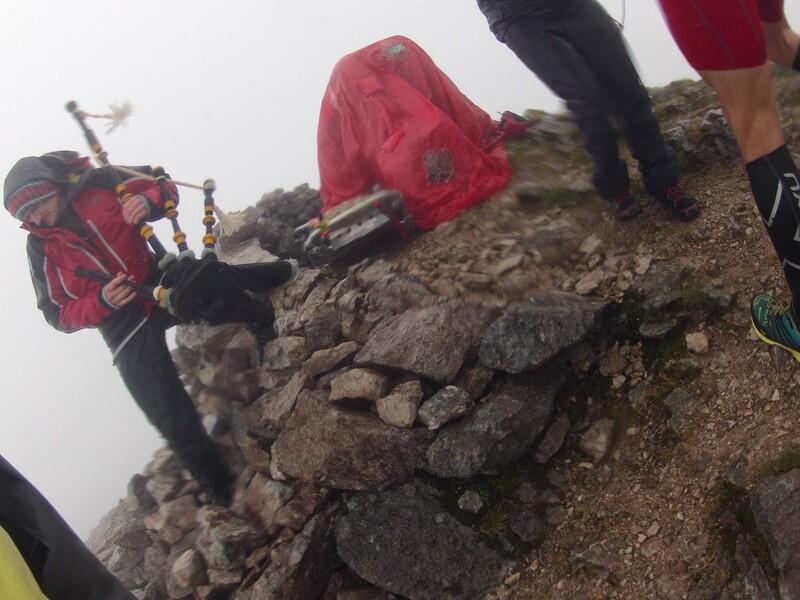 A marshal pointed us in the right direction and after a while we came to the top where the bag piper was playing. Surreal. Wind must have been at or above 20 m/s, visibility less than 20 meters and the rain was just horizontal. After some confusion at the top, we were pointed in the right direction to continue over the ridge. At this point I am grateful to have Oscar to guide me. The wind was almost throwing us off the mountain, and I thought that “How the hell can they let anybody up here during these conditions?” Later I heard that they had closed the high route, letting only 11 people up on this section. A bolad but wise decision. All others had to take the low, less exposed route. The ridge is very narrow, and if you look at the videos, you will see that even Oscar falls during this part. It is several hundred meters steep at both sides. We push on, walking crawling and climbing in the very difficult conditions. Under normal conditions I think the route is easy to follow, but I get angry at one point where we dont know the way, and when we eventually find the officials to ask for the way, they sit three together, rather than spreading out somewhat in order to guide racers. 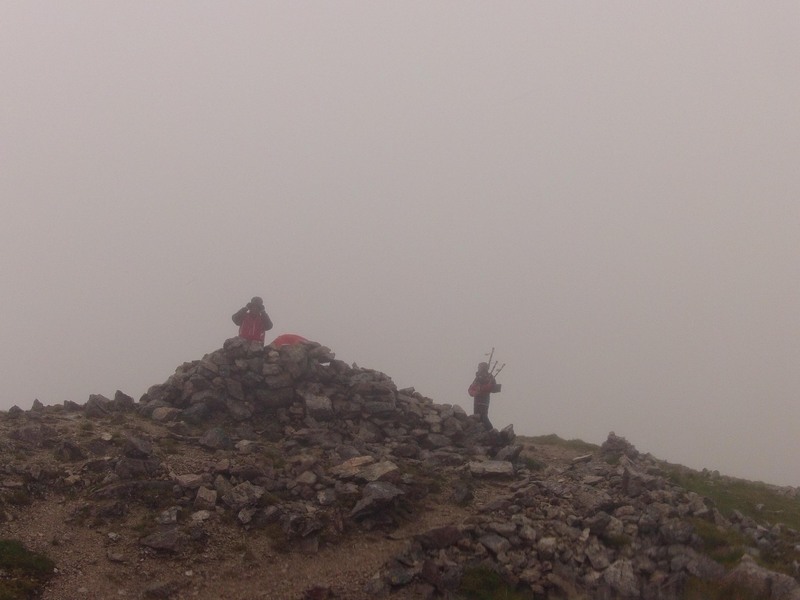 Surely we had a map (safety reasons), but It would have been better to guide just a bit better on the most difficult parts ( as the weather can be so bad). Eventually, we get over the very very exposed sections and reach the second munroe. BBC is there, running along me. I meet Graeme when he is on his way down (as this section is an up and back section), and on my way down I meet Johan and Stuart. I understand that they will soon overtake me, as I am so very slow in the terrain due to my foot. In retrospect I also think I was too low on energy. Better energy would have helped a bit, but I was very limited by my foot at this stage. However – no excuses – everybody has their share of problems. There is a very steep decent from the mountain, leading into rocky boulders that one need to climb down over. Very tricky, and on the downhill sections every step hurt. Johan and Stuart passed me. Eventually we came down to a track and started meeting people on the low route. It was still several painful kilometres down to the road, and then 7 k on the tarmac to the finish line. 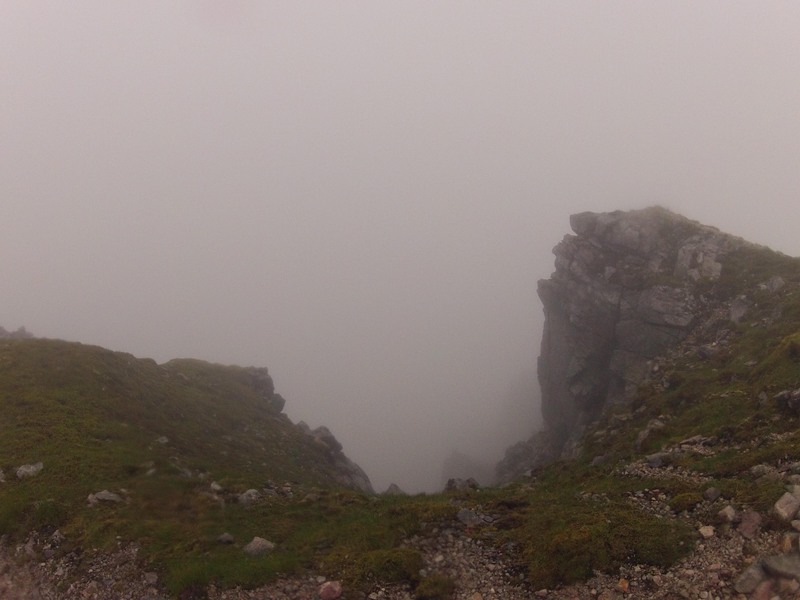 I just wanted to get there, but I was so slow… It took ages, but eventually we approached Torridon. It was a safe 4th place, and I assembled myself for the finish line. With just 200 meters left I got cramps again and had to walk – what an irony. My youngest son met me and ran with me the last bit. Oscar had been fantastic. Finish line approaching. I did it. 4th place in Celtman, Red Bull speed price, and sharing the moment with my dearest. Fantastic, and very happy it was over. 12:43 of suffering. Graeme came in with a very strong 12:16. Johan Hasselmark (Team FJS Multisport – rank 4th world wide) did a fantastic run and came in second, and Stuart Macleod came in third. Family – you are the best. 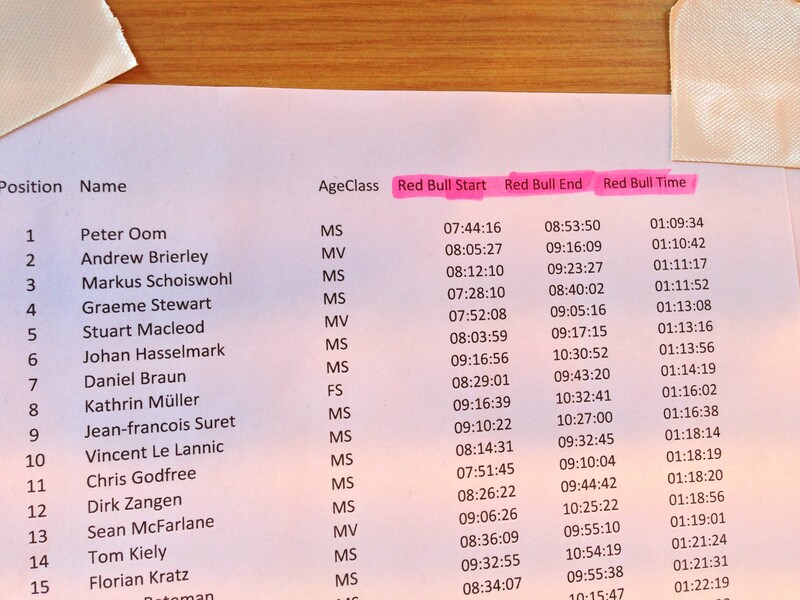 Oscar – thanks for the Red Bull price and best support possible! This entry was posted in Uncategorized on 2013/07/15 by tridurance. 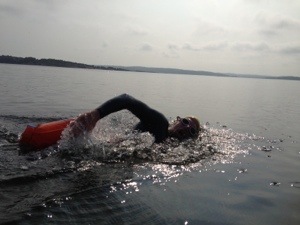 En liten teaser från en underbar morgon med Openwater i Kungsbackafjorden. 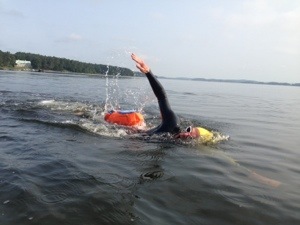 Förutom glassig simning så testade vi Swimsafe, grymt bra pryl för säkerhet och prylar när man simmar open water. This entry was posted in Uncategorized on 2013/07/14 by tridurance. The Swedish distributor of iBike Power meters (www.ibikesports.se) is arranging a memorial run for Caballo Blanco in September. I cannot attend, but I think it will be a nice day out! south east of the Gila Cliff Dwellings. This entry was posted in Uncategorized on 2013/07/02 by tridurance. 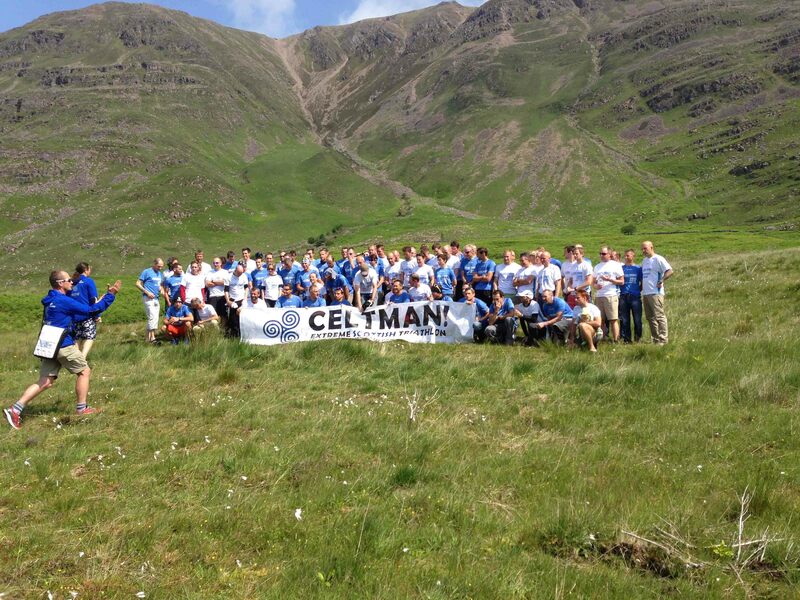 The Celtman race is now approaching fast. The race starts on Saturday 0500 UK time. I am slowly getting ready, but still a bit unsure about my form. I have been training quite well an consistently, but there are some question marks that make me unsure on how I will perform. 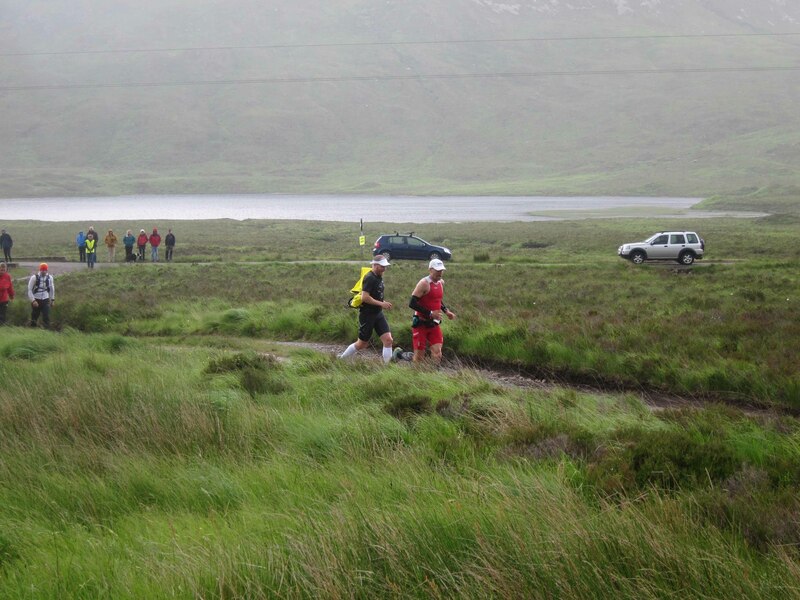 The Celtman race (www.cxtri.com), for those who don’t know it, is an epic race in the most remote part of Scotland, Torridon. 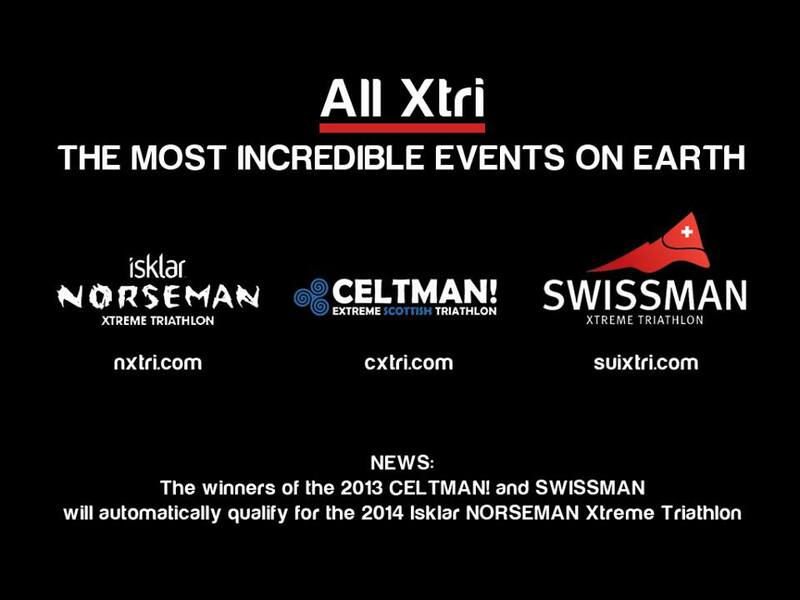 It compares with the infamous Norseman Extreme Triathlon (www.nxtri.com) in Norway which I will be racing in in a month….. But starting with the Celtman. 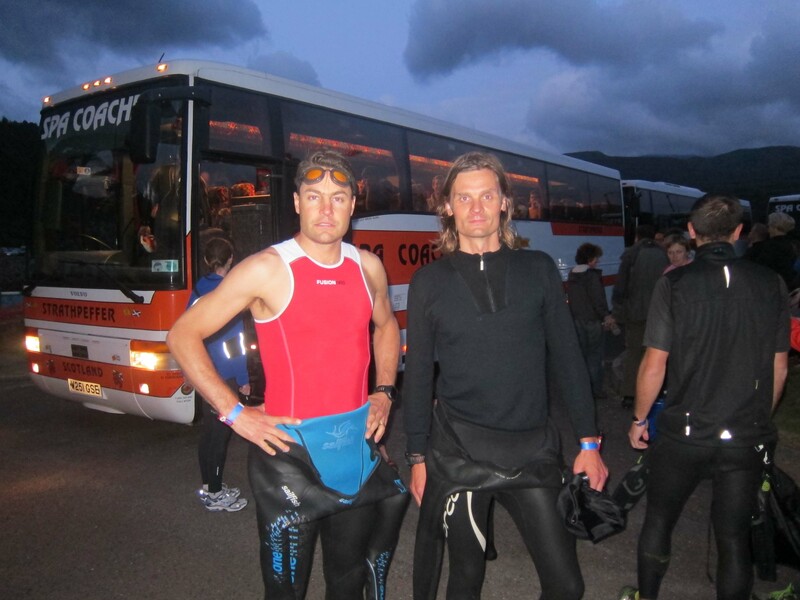 It is an ironman+ distance race, 3900 m open water swimming, 202 km biking and a marathon at the end. It is quite unsupported and during the bike you need your own support vehicle, and for parts of the run it is mandatory with a support runner. But what about extreme? 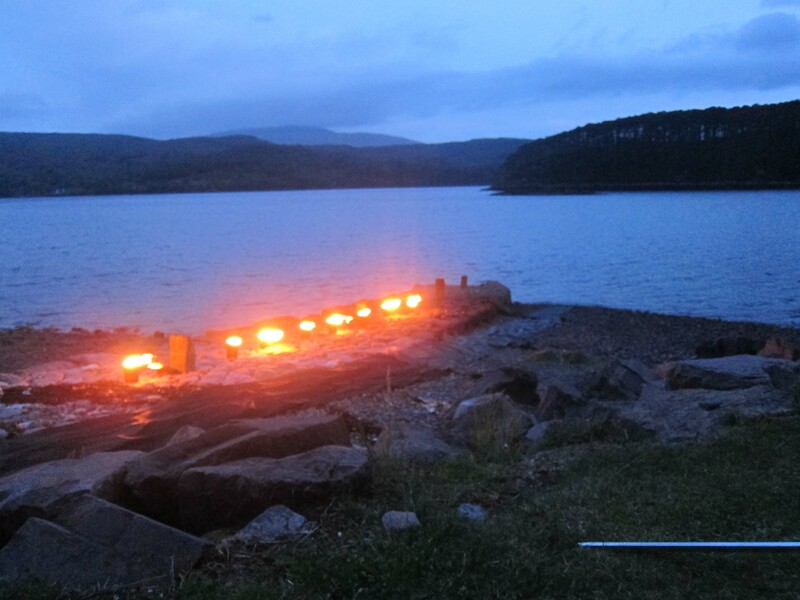 Well – the swimming is in a sea loch, about 10-15 degrees Celcius. 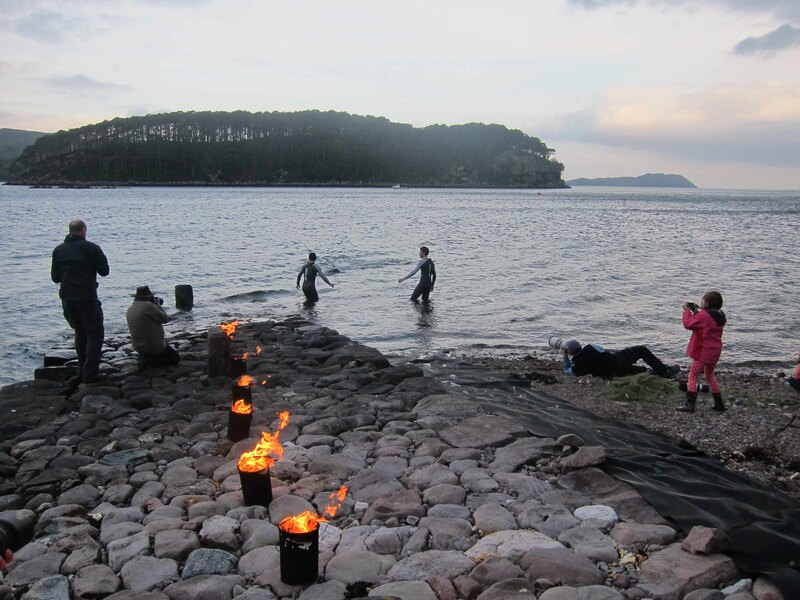 Many have hypothermia after the swim. 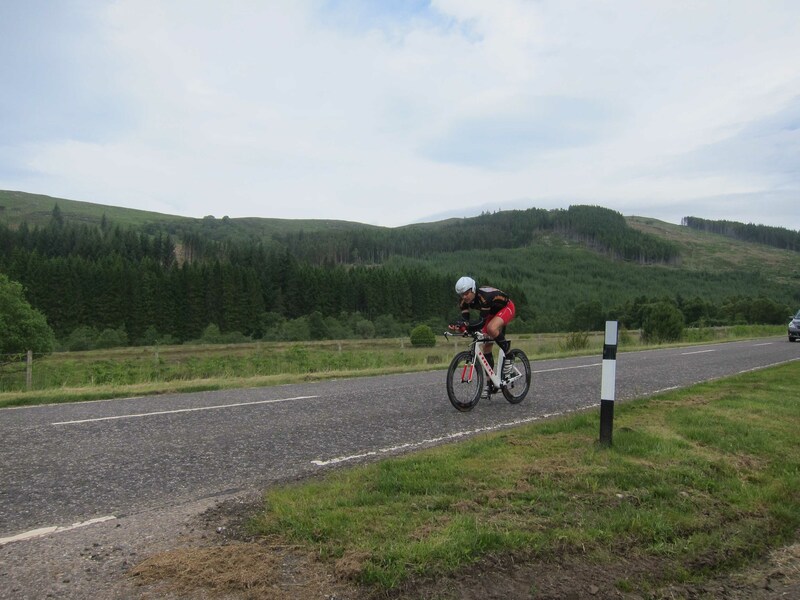 The biking is in the Scottish mountains, and even though it is on normal roads with asphalt, the total ascent is well above 2000 meters. That is a HARD bike section. Adding to that of course winds, rain, snow and whatever you can expect from the Scottish highlands summer weather. The run is the hard section of the race. 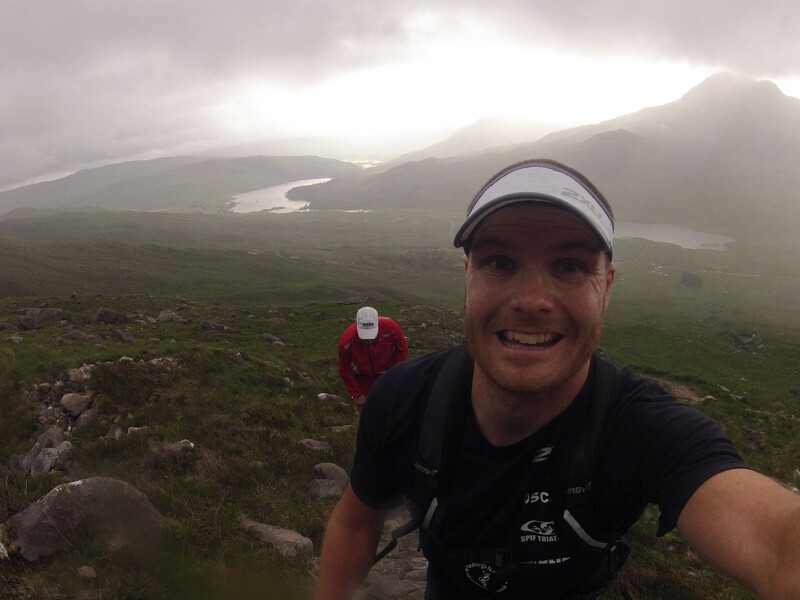 It is a marathon, where some parts of the run is in very rugged terrain over the mountains. Mandatory safety equipment include compasses, maps, survival bags, complete wet proof outfit etc. First person over the finish line will use about 12 hours or more. Is it the huge distances? 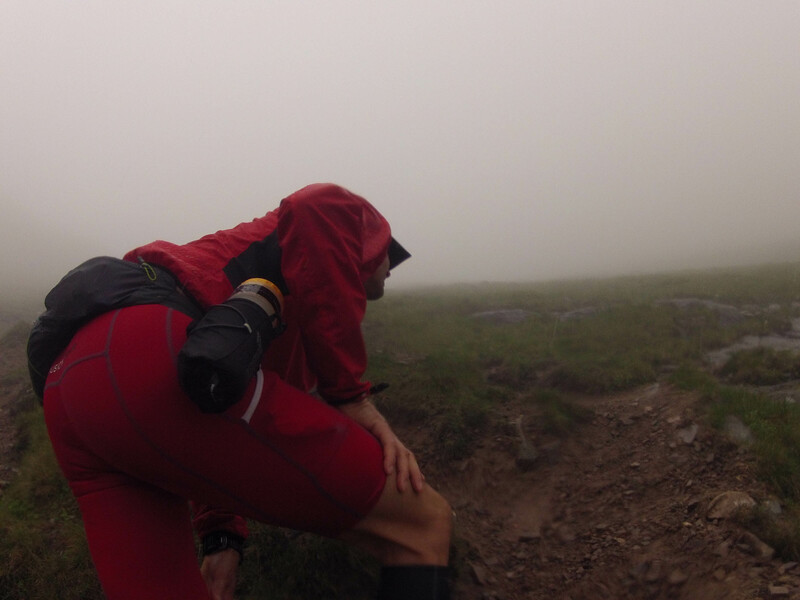 Is it the elevation gain? Is it the difficult technical paths? Is it the cold water? Is it the remote location? Is it the unpredictable weather? I did a lot of running, certainly trail/off-trail this spring. I have had great support from Icebug (www.icebug.se) with great shoes. That is a cooperation that I really value! However, when running Göteborgsvarvet, I got an acute Plantar Fashiitis, which has been a problem since. Last few weeks, I have been using the Arc Flex System (http://www.archflexsystem.com/ ) sole in all shoes, everyday shoes, running shoes and even biking shoes. With these soles I have been able to control the plantar fashiitis. I think I will manage during the competition. However, the long runs have been suffering, as I have had to be gentle on my foot. Results this far during the season has been good, 2 silver positions in 2 different trail/ultratrail marathons plus a completion of a 115 km Ultra in Spain. The biking is difficult to say. During the last month I have been quite consistent on the bike, and the Vätternrundan gave some confidence. Even though I had a weak period during the race, I was very strong the last 200 km. But the main issue is the bike. 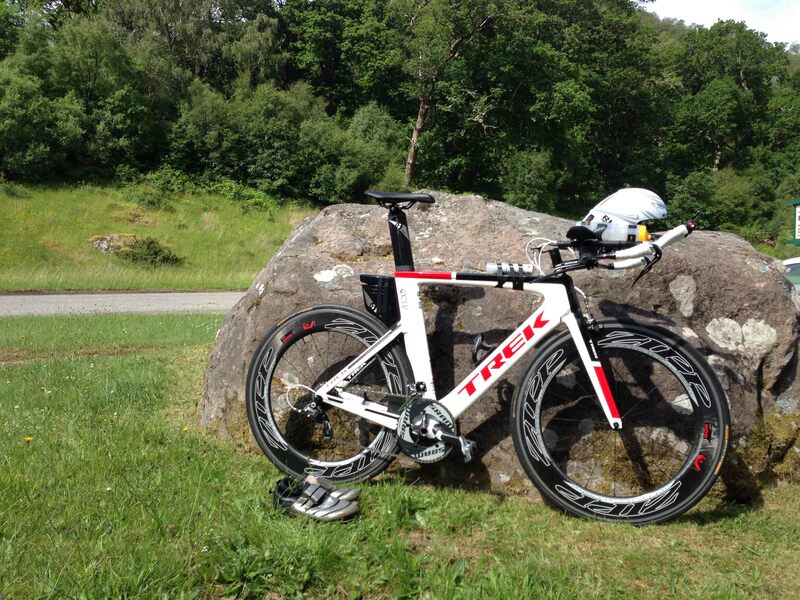 Due to various reasons, I got my triathlon bike only last week! This is naturally a very dangerous strategy, but hopefully it will be OK. During the spring, I have also been able to monitor and self-coach my training well with my iBike power meter (www.ibikesports.se). I have been very consistent with the swimming during the spring, and I have never perfomed so well in the pool. The key has been early-bird workouts with the local masters group. 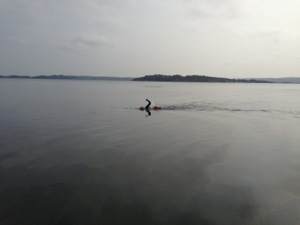 But the confidence has not been fully kept when transferring to open water swimming. 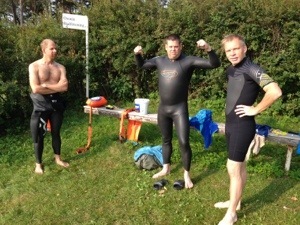 With the wetsuit I have, the Sailfish One (www.triathleten.se), I would be swimming faster. Mixed feelings. This morning, I was doing an easy swim just to get the right feeling. But lacking sleep, the feeling was the worst ever. I guess I have to do another session to get that final confidence. Putting it all together, I think I have the ability perform well if everything turns out good, but there is a high level of uncertainty. It is required to have a support runner for parts of the run sections. 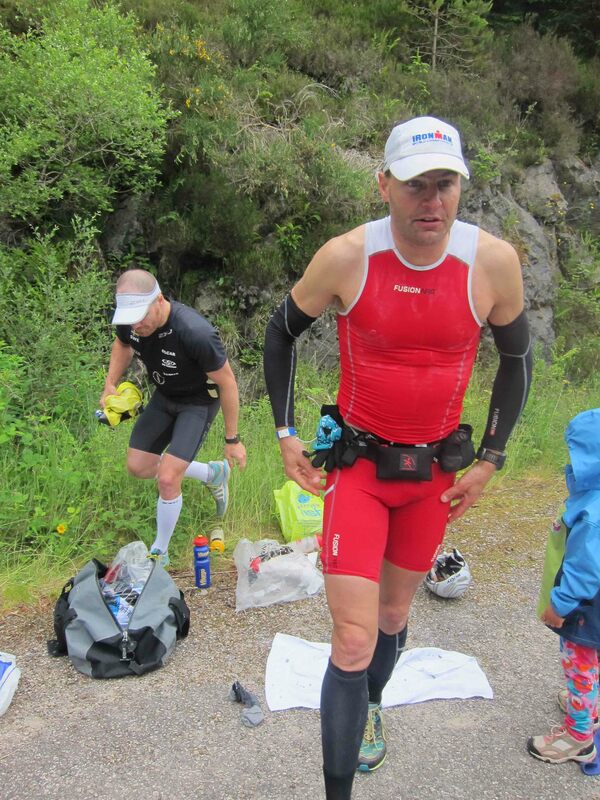 I have hed the opportunity to recruit Oscar Olsson, a pro Swedish long distance triathlete who is helping me. It will be great. (http://www.o2tri.se/). Also, my wife and great kids will be there for me as well. Love u. The most recent forecast for the race day. Right now not too bad! Celtman och Norseman i år. Vad skall man då gära 2014 (förutom Ultra Trail Mont Blanc). This entry was posted in Uncategorized on 2013/07/01 by tridurance.